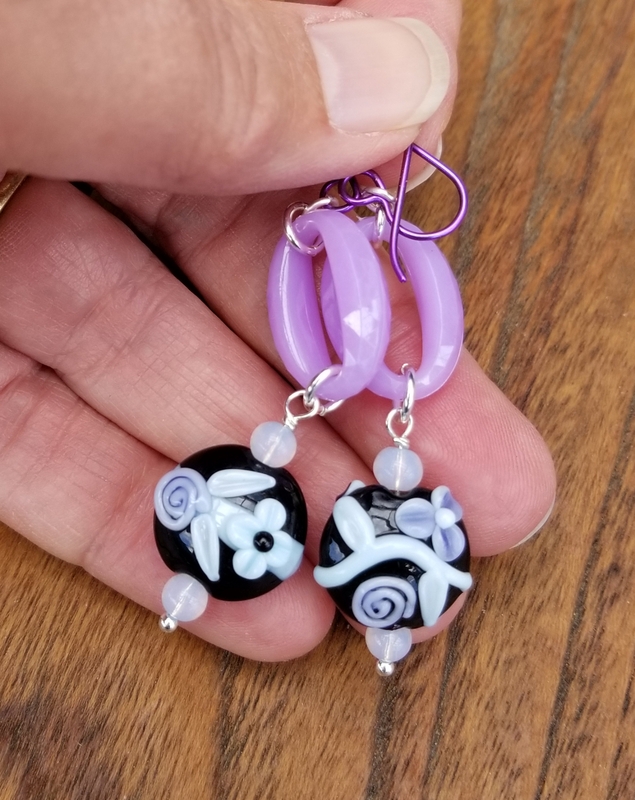 Shades of lavender and baby blue pop on the black background of these lampwork earrings. 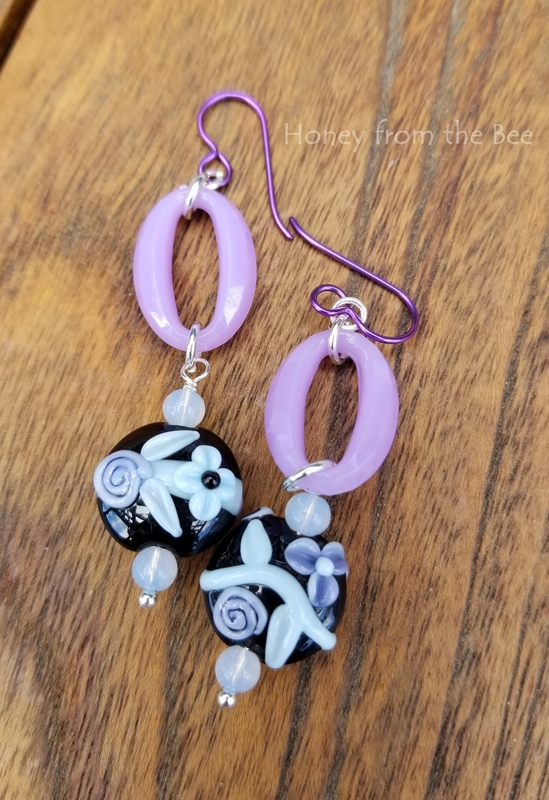 Earrings are 2 3/8" from the top of the earwire to the bottom of the earring. 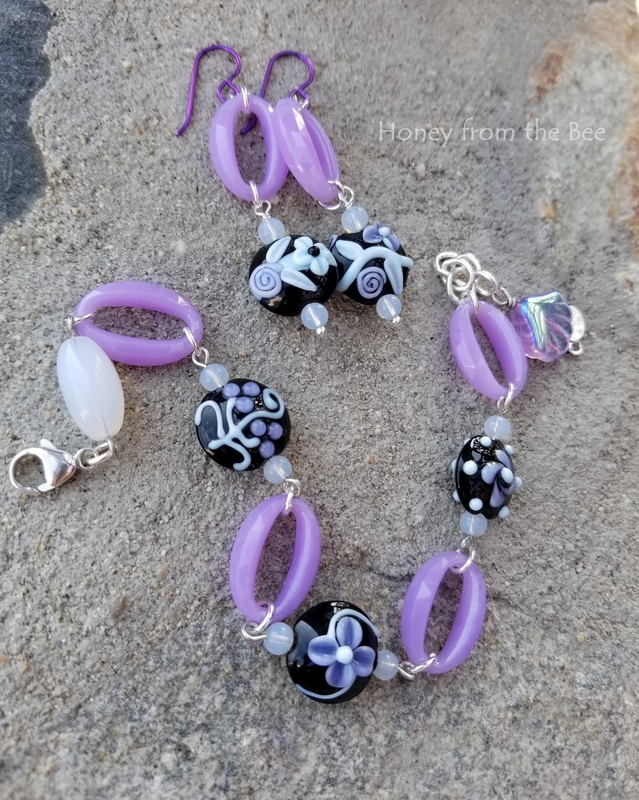 Bracelet is available separately here.